Chinese President Xi Jinping on Wednesday sent a congratulatory message to the opening of a Belt and Road-themed think tank, calling on efforts to enhance mutual understanding and common ground under the Belt and Road Initiative (BRI). The China Railway Express, also known as the Belt and Road on rail, is driving China's efforts to boost connectivity with Eurasian markets. It is enhancing logistics and freight services and accelerating the flow of investment and technology as well as people-to-people exchange. Chinese ambassador to the United States urged Washington to join the China-proposed Belt and Road Initiative (BRI), as the U.S. is missing out on opportunities in the most ambitious development project in history. The second Belt and Road Forum (BRF) will take place in Beijing again, April 25-27. This time, there will be more participants than the first edition, with attendance of 37 national leaders and some 5,000 delegates from over 150 countries and 90 international organizations. Chinese President Xi Jinping said he hopes to deepen cooperation with the International Monetary Fund (IMF), and welcomes more international organizations to participate in the construction of the Belt and Road, during his meeting with Managing Director of the IMF, Christine Lagarde, at the Great Hall of the People in Beijing Wednesday. China on Tuesday reiterated that the China-Pakistan Economic Corridor (CPEC) is an important flagship project of the Belt and Road Initiative (BRI) which also offers a framework of cooperation with other countries and regions, just days ahead of Pakistani Prime Minister Imran Khan's visit to Beijing. Proposed by Chinese President Xi Jinping back in 2013, Belt and Road initiative (BRI) aims to boost trade exchanges, political understanding and people-to people bonds between China and the rest of the world through reviving the ancient trade routes along Asia, Europe and Africa. The China-Pakistan Economic Corridor (CPEC), from China's Kashgar to Pakistan's Gwadar, has managed to promote connectivity across Pakistan by a network of highways, railways, pipelines, and optical cables and is expected to further boost the economic growth of Pakistan. Since the Belt and Road Initiative (BRI) was proposed, China has set up a series of cross-border channels, platforms, and programs to facilitate trade and investment between all countries involved, laying down the foundations for long-term, stable and sustainable growth along the Belt and Road. As a development strategy proposed by China that focuses on connectivity and cooperation on a trans‐continental scale, the Belt and Road Initiative (BRI) has significantly boosted global trade and investment in recent years. As freight train X8044 arrived at its terminus in central China last August it quietly hit an impressive landmark, becoming the 10,000th train to make the journey between China and Europe since the launch of the container service in 2011. China Railway Express (CR Express), also known as the China Europe freight train, has increased substantially. Over 14,000 cargo trains traveled on this rail service network by the end of March 2019, according to the China Railway Corporation. Some European goods are arriving in China faster and cheaper than ever before. With those time and cost savings, China remains proud of its railway networks which are a major part of the country's trade with countries in Europe and Asia. The 21st Century Maritime Silk Road, proposed by Chinese President Xi Jinping in 2013, is already lively as ports in China have established shipping lanes with over 600 major ports in more than 200 countries with the number of major ports of Africa, Asia and Europe along the Belt and Road amounting to 228. Chile is an entrance platform for the Belt and Road Initiative (BRI) in Latin America, says Chilean ambassador to China Luis Schmidt Montes in an exclusive interview with CGTN at the Belt and Road Forum. CGTN's Wu Shuoyu sat down with Ecuador's ambassador to China, Carlos Larrea Davila, for an exclusive interview on the Belt and Road Forum. The ambassador said the growth of the middle class in China as an opportunity for Latin America to be a provider of resources and cooperation in many important and strategic aspects. 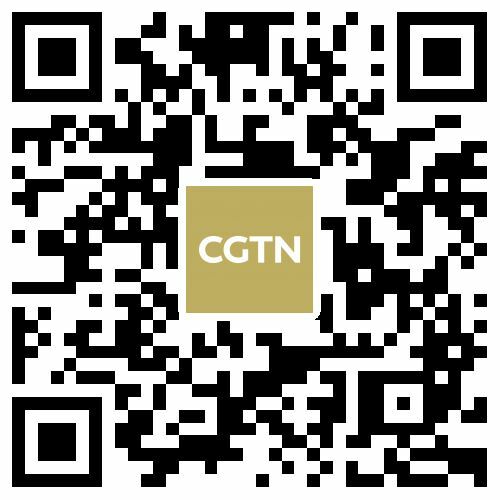 CGTN's He Beibei sat down with the ambassador of Costa Rica in China for an exclusive interview in which the ambassador explained her own understanding of OBOR. The Belt and Road Initiative (BRI) is a hundred-year project that brings more opportunities than challenges, said Ueli Maurer, president of the Swiss Confederation, during a recent interview. Papua New Guinea is willing to join in more cooperative projects under the Belt and Road Initiative to boost the country's economy, Prime Minister Peter O'Neill said in a recent interview with CCTV, ahead of the second Belt and Road Forum for International Cooperation (BRF). Close cooperation on infrastructure, the economy and technology between China and its partner nations has thrived greatly since the launch of the Belt and Road Initiative (BRI) in 2013. Closer cooperation on infrastructure, the economy and technology between China and partner nations has thrived since the launch of the Belt and Road Initiative (BRI) in 2013. Close cooperation on infrastructure, the economy and technology between China and its partner nations has thrived greatly since the launch of the Belt and Road Initiative in 2013. Close cooperation of infrastructures, economies, and technologies have greatly thrived between China and its partner nations since the launch of the Belt and Road Initiative in 2013. For An Xingjie, each morning is a race against time. The western German city of Duisburg has become the world's largest inland port thanks to the development of trade rail routes to and from China as part of Beijing's Belt and Road Initiative (BRI). Planes, trains and automobiles (to borrow the name of a classic movie) ... and not forgetting ships! Most forms of transport are getting a boost as the Thai government invests billions of U.S. dollars in infrastructure. Russian national Lurri Basargin came to China two years ago. He is now overseeing a Russian food manufacturer's operations in Khorgos, a border city in northwest China's Xinjiang Uygur Autonomous Region and historically a major market town along the ancient Silk Road. I first visited the site of China's Alliance Steel just under two years ago when it was still very much under construction. Even then, it was shaping up to be the biggest single industrial complex I could recall seeing in Malaysia. Today, fully up and running in the Malaysia-Kuantan China Industrial Park on the country's east coast, it stretches more than four kilometers from end to end and has its own internal bus service. China-Russia economic collaboration hit new highs by the end of 2018, when mutual trade levels exceeded 100 billion U.S. dollars. Because the coverage that the Belt and Road projects receive is often focused on the big picture and their political implications, we often forget about how they affect people's everyday lives. Beyond the BRI headlines are ordinary people, whose stories I hope to learn from and share, and from whom I have the best chance of understanding how the BRI is shaping up on the ground. As a sports social entrepreneur, I strongly believe in the untapped potential in sports for community building, nation building, youth empowerment, economic empowerment and above all, a united Belt and Road nations' youth. Saying BRI is a scheme by China "to colonize Africa" only aim at discrediting China in the eyes of Africans because they know the BRI offers a win-win cooperation and unlocks Africa's strategic bottlenecks. The importance of allowing people from different corners of the world to understand and see with their own eyes the targets set and the results achieved so far by the BRI is fundamental in building trust among individuals. For a country like Fiji which is world renowned as a holiday destination, infrastructure development through BRI helps to meet the growing demands of tourism. Under the BRI, the country's tallest buildings are in place, schools and hospitals have also been built across the country to boost education and ensure the good health of citizens. Xi'an and Beijing may have different landscapes but they both serve as the starting points of the Belt and Road route, bringing shared development and prosperity to the world. The China-Maldives Friendship Bridge has changed people's lives and businesses, making things much easier for everyone living in the area, as well as those visiting the country. I believe humans can achieve a lot with concerted cooperation. BRI, for one, is becoming the path that establishes a monumental foundation for addressing future challenges, together. The BRI is servicing Ethiopia's growing economy and its 105 million people. The BRI offers more route alternatives and connectivity better than the Suez Canal by opening countries, which would have otherwise been landlocked like Malawi, to seas and oceans. The Belt and Road Initiative plays a great role in connecting far-reaching places. When China prioritizes infrastructure in Kenya, it is trying to give my country a key to development which can elevate its people's living standards. For me, the BRI is about a shared better future. Different from the Western countries, China is bringing harmonious common development to the rest of the world through the BRI. My story: Belt and Road – Is it the way back home? A road shall not only connect places but also culture and civilization. And an initiative shall not only join economies but also the hearts and minds of all the people in the world. The BRI might be the answer to all the problems many countries are facing. By focusing on "global connectivity" through massive investments in infrastructure, linking China to the rest of the world through its land and maritime new Silk Roads, China has presented the world with a new paradigm for development; in effect redefining globalization. In brief, China has never been "a systemic rival" to Washington and the EU – it never intends to be. Apart from endeavors at the governmental level, individuals' role in the BRI construction can never be underestimated. The establishment of the Asian Business Port in London is a great leap forward in the China-UK diplomatic and economic relations. This is a new form of collaboration and trust has been built upon economic integration and internationalism. Once completed the BRI will be an economic powerhouse that unlocks the labor dividends and markets of developing countries and connects them to markets all around the world. The experience of China's development process has repeatedly proved that rule-oriented development can have more certainty, stability, predictability, and security. Critics of the BRI turn blind eye to the concrete benefit it brings to the world. Instead of pursuing exclusive interests, the BRI is promoting mutual respect, peaceful coexistence, and common prosperity. The BRI is creating a vast integrated market centered on the continents of Asia, Europe and Africa that will be many times larger and, in not too distant future, more advanced than that of the U.S. The Belt and Road Initiative (BRI), proposed by China, the largest developing country in the world, is a response to the long-time hope of developing countries to promote the reform of the international economic system. Connectivities of policy, infrastructure, trade, financial and people-to-people are the core of Belt and Road Initiative. As the final touches are being put on the 2nd Belt and Road Forum for International Cooperation, my hope is that the discussion about debt in poor countries will be less about debt from China or the amount, but more about better debt from everyone. Kenya decision to extend the railway to its border with Uganda is a milestone in ensuring that BRI succeeds as BRI remains key to meeting many African countries' infrastructure needs. During the second BRI forum, Kenya should tell not only African countries but also the world how its economy has improved and confirm that the BRI is not a debt trap. The Belt and Road Initiative (BRI) is a project on an enormous scale, both in terms of ambition and sheer size. As reporting focuses on political declarations being signed or the billions of U.S. dollars being invested, it can be easy to forget that ordinary people around the world are the focus of the BRI. The new deal is a blow to the critics of the initiative. Not only does it act as a solemn reminder that Belt and Road projects continue to be in the economic interest of participating states, but it also illustrates China is prepared to offer considerable flexibility and space to the concerns and broader national interests of such companies. Over the past few years, China-EU cooperation under the Belt and Road Initiative (BRI) framework has been strengthened. Why should the EU join the BRI? Joining the BRI might be the best if not the only avenue in pulling the EU out of its economic malaise. China is an increasingly affluent and huge market which could continue to buy massive quantities of EU products. Globalization and China's open and welcoming attitudes towards academic exchanges are all important factors contributing to the internationalization of Chinese universities. As China continues to open its markets to historic levels of imports, increased levels of European goods sold in China would represent a substantial increase in EU's overall exports. This month's Belt and Road forum is a golden opportunity to lay important foundations that will help to create a more united and peaceful world based on the incentive of win-win prosperity. The fact that Italy joined the Belt and Road Initiative (the first G7 country) serves as further proof that there is no reckless competitor in the BRI that needs to be checked. The BRI, with its ample resources and connectivity projects, gives many indications that it could be a global force to move forward the era of the world’s economic interdependence and converge other pro-globalization initiatives. No matter where you are in the world and no matter the color of your passport, join us to share your essay about Belt and Road cooperation. Why is the Belt and Road Initiative misunderstood? What misunderstandings face the BRI, the reasons behind them and how we should tackle them. Live: Do you see both sides of the BRI? To a certain extent, advocating "creditor imperialism" reflects the anxiety of Western countries about China’s rise, but maybe their anxiety will be more serious in the future if the BRI is not fairly viewed. UN Secretary-General Antonio Guterres said Tuesday that the Belt and Road Initiative is a very important opportunity to the world. To better promote infrastructure connectivity, consensus on green construction should be reached. In 2013, China proposed the Belt and Road Initiative (BRI) with the aim to build a trade and infrastructure network connecting Asia with Europe and Africa along the ancient trade routes of the Silk Road, to seek common development and prosperity. The e-commerce sector is booming in countries along the Belt and Road Initiative (BRI). Online sales from BRI countries on Alibaba's international division Tmall Global more than doubled in 2018 and more than half of the buyers were from BRI countries, according to the company. Former Japanese Prime Minister Yukio Hatoyama told Chinese media that China and Japan's cooperation in the third-party market, especially in developing countries, will promote the Belt and Road Initiative (BRI). The Belt and Road Initiative (BRI), first proposed by Chinese President Xi Jinping in 2013, has evolved into a transcontinental trade and infrastructure network, covering the Eurasian continent, Africa, Latin America and the Caribbean, and the South Pacific region. Somalia officially joined China's Belt and Road Initiative (BRI) in August 2018. But how do they evaluate the collaboration and what are their expectations for the upcoming second Belt and Road Forum? ‍As an important media activity of the second Belt and Road Forum (BRF) for International Cooperation, the Belt and Road Innovation Forum on 5G and 4K Communication hosted by China Media Group (CMG) and Belt and Road Media Community was successfully held in Beijing on April 22. The total cargo value of China-Europe freight trains rose 106 percent year on year to hit 33 billion U.S. dollars in 2018, an official said Monday. Chinese President Xi Jinping on Tuesday sent a congratulatory message to the first the Belt and Road News Network First Council Meeting, which opened on the same day. The ancient Maritime Silk Road has served as an important bridge between the East and the West. Today, the 21st-Century Maritime Silk Road works as a sea corridor with Southeast Asia as a hub. CGTN's He Beibei conducted an exclusive interview with Chilean Ambassador to China Luis Schmidt Montes on the Belt and Road Forum. The ambassador explained Chile's role in the Belt and Road Initiative (BRI), and called the Belt and Road Forum an open forum of enormous value that includes multilateralism and free trade. The Second Belt and Road Forum for International Cooperation (BRF) will take place in Beijing from April 25 to April 27 this year with the theme of Belt and Road Cooperation, Shaping a Brighter Shared Future, aiming to bring about high-quality cooperation under the Belt and Road framework. A new mechanism aimed at creating a more favorable tax environment for enterprises and countries involved in China's Belt and Road Initiative (BRI) has been established. Tax officials and experts from dozens of countries and international organizations have gathered in China from April 18 to 20 for the first Belt and Road Initiative Tax Administration Cooperation Forum, known as BRITACOM. Quiz: How much do you know about the Belt and Road Initiative? The Belt and Road Initiative (BRI) was proposed by Chinese President Xi Jinping in the autumn of 2013. Five years have passed, it continues to offer a fresh impetus to regional cooperation among Asia, Europe, and Africa, as well as other areas while bringing tangible benefits to the people in all BRI countries. The Shanghai Cooperation Organization's (SCO) Secretary-General Vladimir Norov will attend the Second Belt and Road Forum for International Cooperation in Beijing next week. Located in the northern suburb of Beijing, Yanqi Lake is a scenic spot which is just at the foot of Yanshan Mountain. The Great Wall is to the north of the lake. In the spring and autumn, flocks of rare migrant birds, especially geese, inhabit the area, which inspired the name of the lake, since Yanqi Lake translates to Swan Lake. While the BRI is primarily considered a trading and economic growth initiative, it is also an opportunity to create a more peaceful world here and now as well as in the lifetime of future generations. The China Railway Express (CR Express), also known as the Belt and Road on rail, is driving China's efforts to boost connectivity with Eurasian markets. The Second Belt and Road Forum for International Cooperation (BRF) will be held in Beijing from April 25 to 27 this year. Beijing is to host the second Belt and Road Forum for International Cooperation April 25-27. Many industries have been reporting significant gains in recent months, as the massive project gathers momentum. The Belt and Road Initiative has proved to be the building block for the expansion of a Hong Kong-based architectural company. For the first time, the Beijing International Film Festival held a forum focused on animation and TV cooperation among countries and regions involved in the Belt and Road Initiative. Industry insiders showcased their projects, from countries that included New Zealand, Italy and India. The total trade volume of goods between China and the Belt and Road (B&R) countries exceeded six trillion U.S. dollars from 2013 to 2018, said the Ministry of Commerce (MOFCOM) on Thursday. The Second Belt and Road Forum (BRF) for International Cooperation will be held in Beijing from April 25 to 27, Chinese State Councilor and Foreign Minister Wang Yi announced at a press briefing on Friday. As the ancient Chinese saying goes, amity between people holds the key to sound relations between states. The bedrock of the Belt and Road Initiative (BRI) is interconnectivity, especially the connection of people's hearts. The Belt and Road Initiative has gained strong support thanks to enhanced people-to-people exchanges, particularly, tourism and study abroad programs. We ended our trip at Urumuqi in Xinjiang last time. Today we will drive across the border junction of the Western Europe-Western China Highway and travel from China's Khorgos Port to Kazakhstan. Last August, I visited one of the main base stations of China Communications Construction Company (CCCC), which has set up to build the 680-kilometer, 16 billion-U.S. dollar East Coast Rail Link (ECRL). Dozens of brand new trucks and excavators sat idle in neat rows. A skeleton staff remained in the offices. All work had ground to a halt. China appreciates Malaysia's support for the Belt and Road Initiative (BRI) and welcomes Malaysian Prime Minister Mahathir Mohamad to attend the Second Belt and Road Forum for International Cooperation in Beijing later this month, Chinese State Councilor and Foreign Minister Wang Yi said on Tuesday. The second Belt and Road Forum for International Cooperation opens in Beijing next week. In the lead-up to that, a special competition was held to celebrate the diversified cultures associated with the massive initiative. The winners were selected on Sunday night. From the 2nd century AD, there has been a commercial road starting from China, going all the way west to Central Asia, West Asia, and finally to Europe. Because the major transaction goods on this road were silk it became known as the Silk Road. People rode camels and horses spending years on this road, trying to make a connection between the eastern and western worlds. ‍The second Belt and Road Forum for International Cooperation (BRF) will be held later this month in Beijing, but the ancient Silk Road that inspired the 21st-century Chinese proposal - the Belt and Road Initiative (BRI) - goes back thousands of years. The 125th China Import and Export Fair, also known as the Canton Fair, opened Monday in Guangzhou, capital of south China's Guangdong Province, with over half of the companies attending its import fair hailing from Belt and Road countries and regions. Some elegant cultural relics dating back almost 1,200 years were unearthed last year in northwest China's Shaanxi Province. Six years after Chinese President Xi Jinping proposed the Belt and Road Initiative, China has signed over 170 cooperation agreements with more than 120 countries, its trade volume with BRI partners has exceeded six trillion U.S. dollars and the AIIB, Silk Road Fund and Chinese-funded banks are contributing to the development of various projects. April 11, 2019 marks the official start of a new era for China and Jamaica as the Caribbean country joins China's Belt and Road Initiative (BRI). Bank of China (BOC), one of the country's major commercial lenders, on Wednesday issued 3.8 billion U.S. dollars worth of multi-currency bonds to raise low-cost funding for medium and long-term projects related to the Belt and Road Initiative (BRI). As an important part of the “Belt and Road” economic and trade cooperation, industrial parks have played a big role in taking Chinese companies abroad. According to the Ministry of Commerce, so far China has built 82 parks in 24 countries under the Belt and Road Initiative. They have generated more than 2 billion U.S. dollars in tax income for host countries, and created nearly 300,000 local jobs. The largest among them is the China-Belarus Industrial Park. It covers more than 90 square kilometers and is expected to host 60 companies by next year. Its total contracted investment is expected to reach 2 billion dollars. 20 projects will be launched, while 30 will begin operation. The China Railway No. 4 Bureau is undertaking the first water supply project for people's livelihood since the establishment of China-Costa Rica diplomatic relations. The commencement ceremony was held at the construction site in Canas, Costa Rica. It is the most anticipated livelihood project among the six projects Costa Rica proposed to China in 2015. It will effectively alleviate the water shortage in Canas and the excessive arsenic level in the water used by the residents of Bebedero. The National Museum of China, in conjunction with national museums in 12 other countries, showcased the rich and diverse cultural exchanges between the countries in an exhibition of 234 cultural relics from different periods and categories on Thursday. The exhibition runs until July 14. Ten photographic works won the grand prizes of a photography contest inspired by the Belt and Road Initiative (BRI), according to the organizer China Radio International (CRI) Wednesday. Croatian President Kolinda Grabar-Kitarovic in a recent exclusive interview with CGTN said the ties between Croatia and China are really excellent and there are no open issues, nothing to resolve. China and the European Union (EU) both wield great economic power – and trade is big business. Official statistics show two-way trade between China and the EU hit a record high of over 680 billion U.S. dollars in 2018, up more than 10 percent year-on-year. The projects in the China-Pakistan Economic Corridor have not increased the burden on Pakistan, but have boosted the economic strength of the Pakistani side, Lu Kang, spokesman for the Chinese Ministry of Foreign Affairs (MOFA) said at a regular press conference on Monday. Chinese Vice President Wang Qishan and chairman of the National Security Committee of Kazakhstan Karim Masimov both spoke highly of the collaboration between the two countries on the Belt and Road Initiative (BRI) during their meeting on Monday in Beijing. The United States is yet to confirm its participation in the second Belt and Road Forum for International Cooperation (BRF), which starts later this month in Beijing, said Geng Shuang, a spokesperson for the Chinese Foreign Ministry, during a regular press conference on Wednesday. The awards ceremony for the first Belt and Road Short Video Competition hosted by Global Times Online was held at People's Daily New Media Building in Beijing on Friday. China and Kazakhstan are aiming to build stronger ties focusing on cooperation on the Belt and Road Initiative. Special economic zones between China and Pakistan are open to other countries and beneficial to regional stability. The Belt and Road Initiative (BRI) is an array of infrastructure products aiming to consolidate China's economic ties with Asian and Eurasian countries with investments of four to eight trillion U.S. dollars. March 23, 2019 marks the official start of a new era for China and Italy as a historic advancement of China’s Belt and Road Initiative (BRI) took place in Rome. Italy became the first Western European nation to sign on to the project. One of the Belt and Road Initiative's major players is an Italian national with a long history in China. Italy's Under-Secretary for Economic Development Michele Geraci has not only helped push the signing of the Memorandum of Understanding, but has also helped teach and influence many of China's youth. This is a transcript of an interview between Liu Xin and Nicolas Kovacich. Italian Prime Minister Giuseppe Conte said Friday he is willing to attend the second Belt and Road Forum for International Cooperation (BRF) in late April in Beijing. Editor's note: Cheng Dawei is a professor at the School of Economics, Renmin University of China. The article reflects the author's views, and not necessarily those of CGTN. Belt and Road: All for one or one for all? When the BRI comes alive, it will change the world in a big way. But the biggest challenge is not the connecting of roads, ports and bridges, and not even that of banks and factories, but the linking of minds. The Belt and Road Initiative (BRI) proposed by Chinese President Xi Jinping in 2013 is not a debt trap, but an economic pie that brings real benefits to all parties, said Chinese State Councilor and Foreign Minister Wang Yi. The Chinese-proposed Belt and Road Initiative could transform Africa's economy, economic analyst said on Thursday. Italy has planned to sign a memorandum of understanding to become part of China's Belt and Road Initiative (BRI), the Financial Times reported on Tuesday. Chinese Premier Li Keqiang said China will hold the second Belt and Road Forum for International Cooperation later this year and expand third-market cooperation. China attaches great importance to the debt issues and does not create any traps for economies along the Belt and Road, Zhang Yesui, spokesman for the second plenary session of the 13th National People's Congress said Monday in a press conference in Beijing. Is Belt and Road Initiative a 'debt trap'? The Ocean Highway sets sail for Durban in South Africa from the southern tip of Sri Lanka. The upcoming second Belt and Road Forum for International Cooperation will further promote the development of bilateral relations between the Philippines and China, said Philippine President Rodrigo Duterte. China's top legislator Li Zhanshu met with Iranian Parliament Speaker Ali Larijani in Beijing on Tuesday, and the two sides agreed to strengthen cooperation under the framework of the Belt and Road Initiative. Chinese Ambassador to the United States Cui Tiankai said on Wednesday China will open its door wider to the U.S. and seek more cooperation, while inviting Washington to join the upcoming Belt and Road Forum in Beijing. Chinese researchers have conducted a comprehensive study evaluating the risks of biological invasions in countries participating in the Belt and Road Initiative (BRI). Research results showed that 15 percent of the Belt and Road countries face an extremely high risk of biological invasion as people and cargo move about. The 2019 China-Laos Year of Tourism opened with an event in Vientiane, Laos on Friday. Chinese President Xi Jinping sent a congratulatory letter to the event, highlighting the two countries' relationship and calling for enhancing Belt and Road cooperation. China and Cameroon have vowed to deepen pragmatic cooperation under the framework of the Belt and Road Initiative (BRI) and implement the proposals agreed at last year's Forum on China-Africa Cooperation (FOCAC). The second Belt and Road Forum (BRF) will take place in Beijing again, April 25-27. This time, there will be more participants than the first edition, with 37 national leaders and some 5,000 delegates from over 150 countries and 90 international organizations. Does the Belt and Road Initiative (BRI) mean anything to those outside China? Why is the BRI so popular? Check the Snap Quiz of BRI to find answers! China's second Belt and Road Forum for International Cooperation is scheduled to take place in Beijing later this week. Ahead of the conference, a side forum on the future of communication technologies has been held in the Chinese capital. It was hosted by China Media Group and the Belt & Road Media community, with the aim of promoting exchanges between media outlets. The second Belt and Road Forum will be held in Beijing from April 25-27. Representatives from over 100 countries, including about 40 government leaders, are set to attend. The forum is the top-level platform for international cooperation within China's Belt and Road Initiative framework. Foreign Minister Wang Yi has briefed the media on details of the forum. Today the world's economic center is in the Pacific, not in the Atlantic, and China's Belt and Road Initiative is a reflection of that. Karakoram Highway (KKH) project is best known as the Friendship Highway in China, starting from Xinjiang, China, and ends in Thakot, Pakistan, with a length of 1,032 kilometers. Rehmat Ali from Pakistan is working as a doctor in the KKH project. Apart from the daily medical care, his main job is driving the ambulance to the blast site in case any injuries happen. Excavated in northwest China's Shaanxi Province last year, these elegant cultural relics are nearly 1,200 years old and show that analyzing cultural relics is one of the best ways to find out the in-depth connection between China and rest of the countries along the silk road. To build this connection and better preserve the cultural relics by using technological means, countries along Belt and Road routes are working together in the field of archaeological discovery and protection. In recent years, political party leaders from Egypt, Cambodia, Algeria and other countries have visited China to learn more about China and its BRI policy. The implementation of the BRI has left a deep impression on them. Check the video above to hear what they say.